We are looking for vibrant people to join our dynamic team! Bring your resume to our hiring fair this Thursday, April 18 from 11am to 5pm. NOORISH is looking for a part-time Dessert Chef to make primarily vegan and gluten-free desserts. 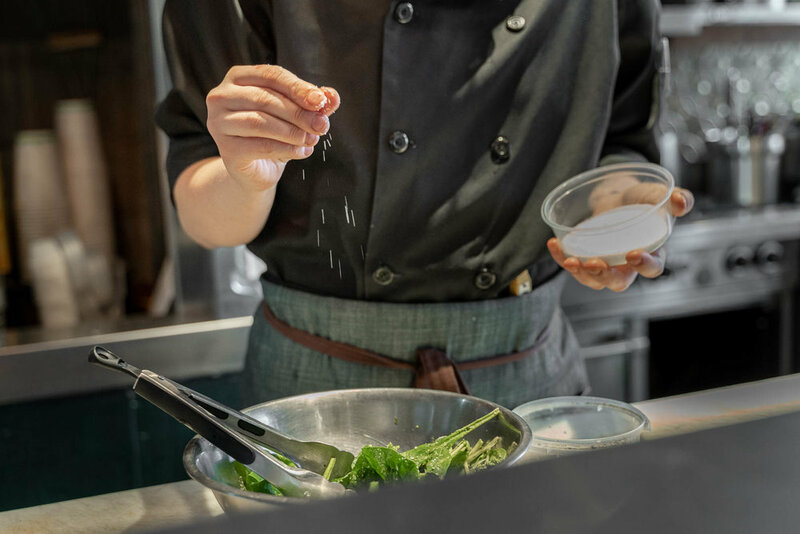 This role is independent from the rest of the kitchen and requires a self-driven individual with leadership skills, experience preparing vegan desserts, general culinary training and/or at least 2 years of experience in a commercial kitchen. Creativity is welcome, however recipes are ready to be followed. Serious applicants only. NOORISH is looking for a Chef/Line Cook to join our vegetarian kitchen. We are looking to add a front of house member to our awesome team! Experience is an asset as we’re looking for someone capable of both serving and bartending. Apply in-house or email your resume to info@noorish.ca.